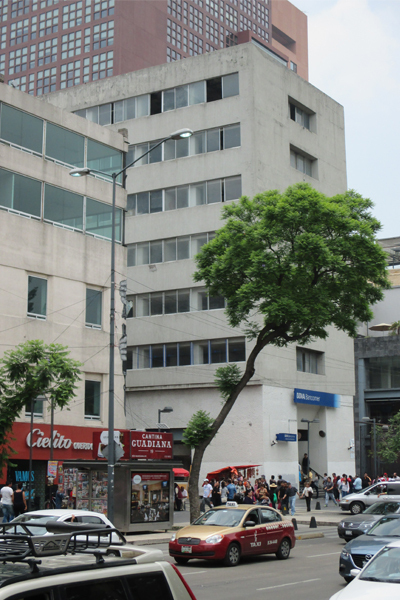 In spite of the intense urban development, a great number of heritage buildings and significant park areas have survived. Most of the city has been built on what was at the time of initial settlement by the Aztecs a lake. 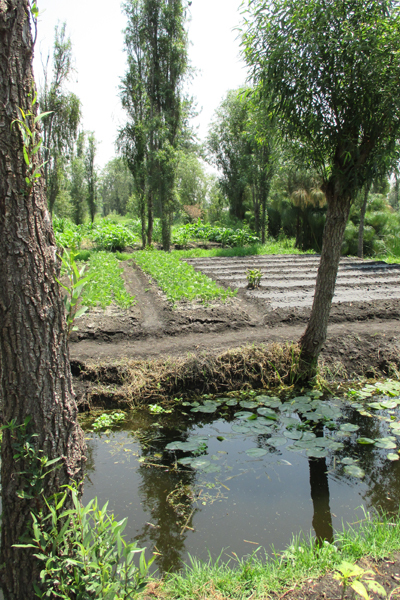 A remnant of traditional Aztec agriculture is preserved in the cultural landscape of Xochimilco, where chinampas, rectangular earth terraces contained initially by logs and then by trees and shrubs, are built from nutrient-rich mud scooped out of adjacent canals. 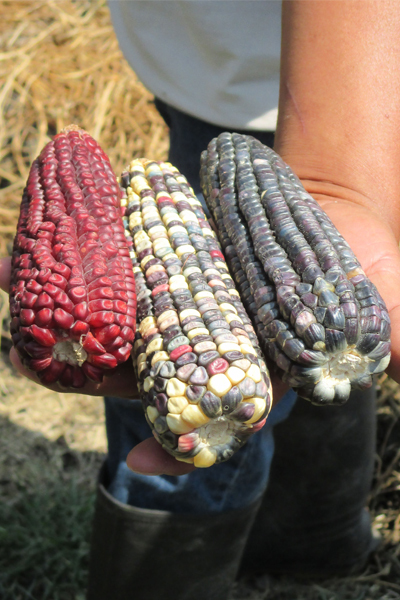 These terraces once fed the Aztec Empire and are still incredibly productive. 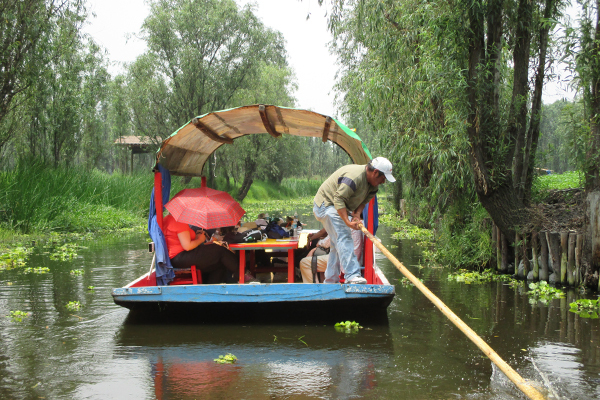 Xochimilco was declared a UNESCO World Heritage Site in 1986. 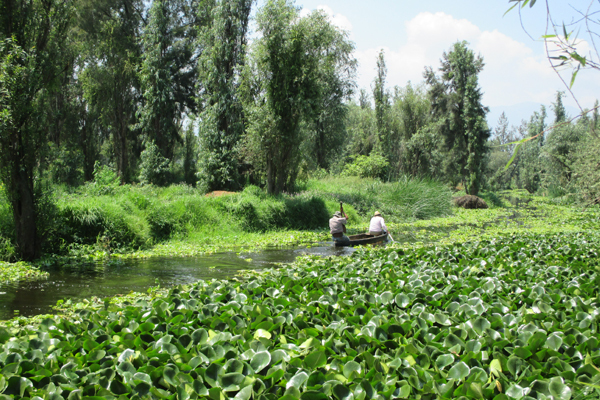 The chinampas and canals also provide valuable wildlife habitat, which is scarce in Mexico City. It is perhaps the last remaining habitat for the axolotl, a unique, critically endangered amphibian. 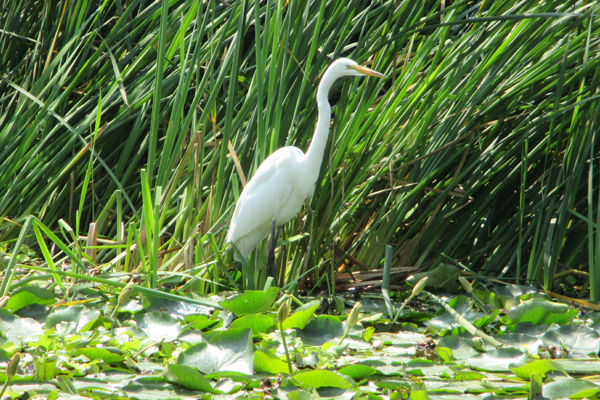 The canals, moreover, are a recreational resource. Boatmen with long poles push tourist barges along the shallow waters. 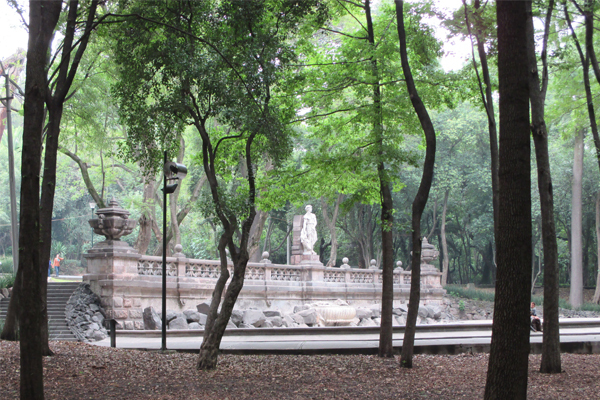 Chapultepec Park, just west of the center of the city, has 1,696 acres—more than twice the size of New York’s Central Park (843 acres). 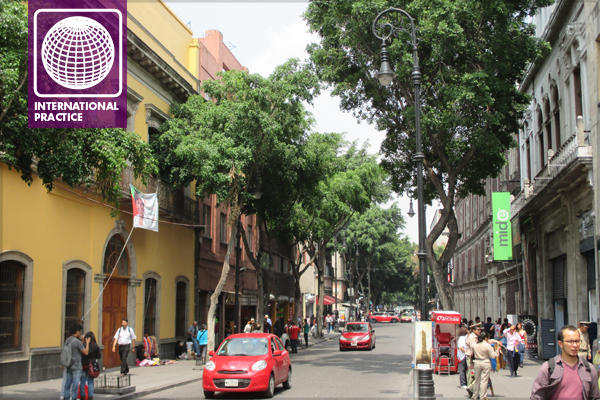 It has been a retreat since pre-Columbian times when it served Aztec rulers. 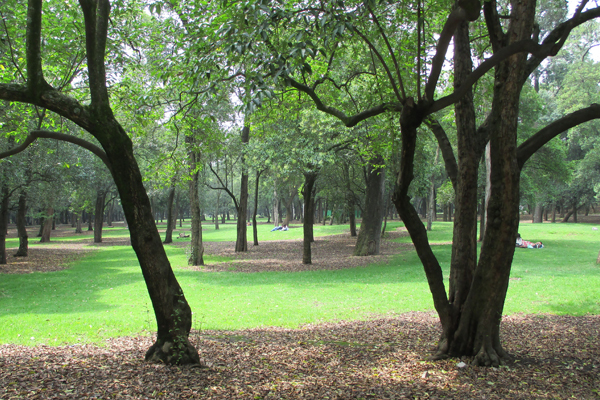 Chapultepec Park also acts as urban “lungs” for the modern city. These valuable heritage landscapes have been endangered in recent years. 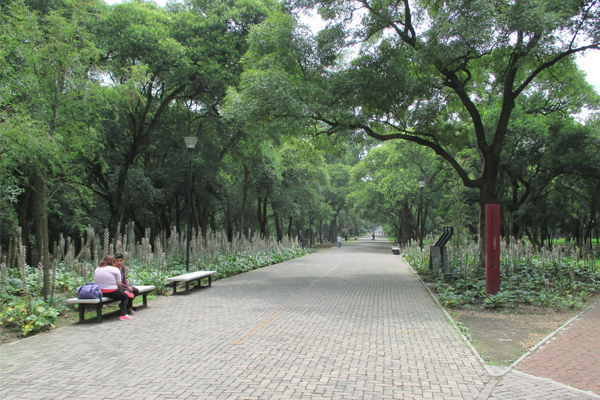 Xochimilco had been neglected and there was pressure to fill in the remaining portion for development, and a major highway was constructed across part of Chapultepec Park. 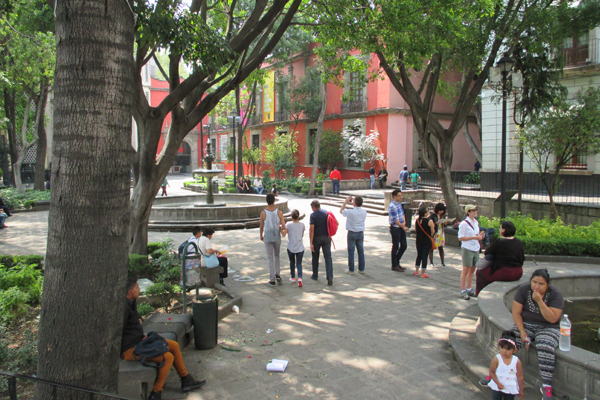 Mexico City was chosen for the meeting of the Canadian Society of Landscape Architects to provide an opportunity to coordinate with the International Federation of Landscape Architects (IFLA) in their on-going initiative to advance the cause of the International Landscape Convention (or Charter). The city’s impressive cultural landscapes provided compelling examples of sites deserving of landscape conservation in a city where landscape is often threatened. More than 30 countries spoke in favor of the convention, but the Executive Board of UNESCO did not ultimately accept IFLA’s proposal due to opposition from the US on political grounds, and from France, which had concerns about the cost to UNESCO and the possibility of overlapping with other programs. European Landscape Convention – as of June 7, 2015: signed and ratified by 38 member states (countries), signed but not ratified by two, and not signed by six. Acknowledge landscapes as essential components of people’s environment, an expression of the diversity of their shared cultural and natural heritage, and a foundation of their identity. Acknowledge the special capacities, responsibilities and leadership possessed by Landscape Architects when intervening on landscapes. Adopt the CLC core principles which are to Recognize landscapes as vital, Consider all people, Inspire stewardship, Expand knowledge and Show leadership, and thereby build a better practice of Landscape Architecture that contributes to the creation of an improved and sustainable living environment for all. The Latin Americans pointed out that the major piece missing on the map—especially in the western hemisphere—is the United States. ASLA President K. Richard Zweifel, FASLA, was present at an IFLA meeting held concurrently with the CSLA Congress when this was pointed out. Sitting in a circle of about twenty people, including myself as Chair of the ASLA International Practice PPN, we were all asked to comment individually on the ILC initiative. President Zweifel offered some diplomatic words of encouragement, but he said that he was unable to commit on behalf of ASLA, which moreover had a number of programs with goals similar to those of the ILC. 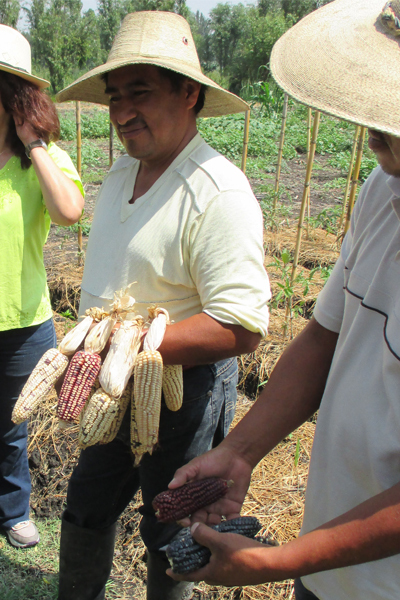 The important aspect of an International Landscape Convention or Charter, or even a multi-national regional Convention, is that it has potential to unite people of the world in the common cause of valuing and defending landscapes’ important cultural and/or ecological attributes. Also, it can be used to support local groups seeking to preserve treasured landscapes by bringing international attention, and hopefully the weight of an international treaty, to bear. This would be particularly important in smaller nations and for under-represented communities such as indigenous aboriginal groups. 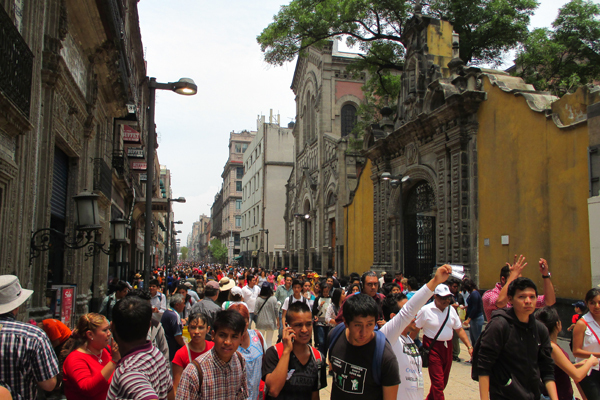 The idea of an International Landscape Convention has a power, clarity, and universal appeal that a varied collection of programs and initiatives scattered across many nations and organizations cannot have. As Chair of the International Practice PPN, I am generally favorable to international initiatives, but I find the arguments for an International Landscape Convention especially compelling. After the official representatives of the CSLA had signed the Canadian Landscape Charter, individuals attending the congress were invited to sign as well, in support. I signed as someone coming from a young country, inspired by a city that has managed to preserve cultural landscapes in spite of nearly 700 years of development.